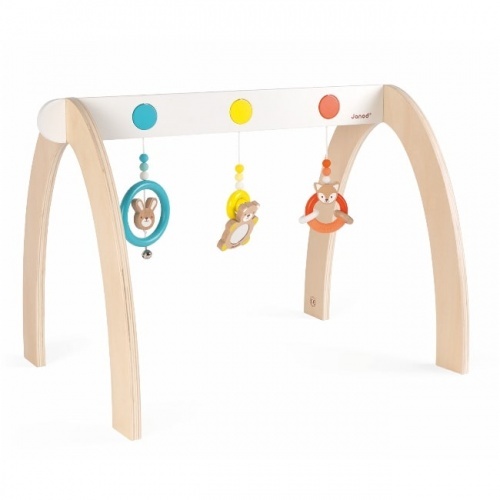 The Little Big Things Flo Teether is made from beautiful, solid beech wood and soft and safe TPE plastic - a modern take on a classic baby essential. The flower design is easy for babies to hold in their little hands, while the big, chewy “petals” are soft for teething gums, offering soothing relief instantly. The different textures of the Fio+ mean more touch to explore with tiny fingertips and the teether can also become a spinning top, much to baby’s delight! Suitable for babies from birth, recommended for babies from five months, and is also available in pink and blue. Always inspect the product before every use and any signs of damage dispose of the teether.